Browse: Home / About / Meet the Hörst Family! 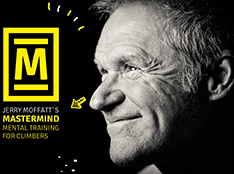 Eric is an internationally renowned author, climbing coach, researcher, and accomplished climber of more than 40 years. 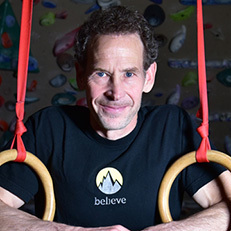 As a world-class climber in the mid 1980s and early 1990s, Eric established some of the hardest climbs in the eastern United States—today, at age 54, he continues to climb at a high level. 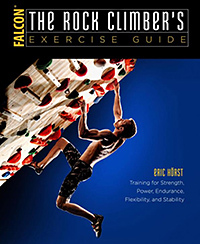 Eric is author of eight books (with many translations) and hundreds of magazine and Internet articles; he has appeared on numerous TV broadcasts and his techniques and photos have appeared in dozens of publications including, Rock & Ice, Climbing, Deadpoint, Outside, Men’s Health, Fortune, Men’s Journal, Muscle Media, Muscle & Fitness, Paddler, Urban Climber, Parents, Wall Street Journal, Experience Life, Outdoor 4X, and National Geographic Adventure, as well as European magazines such as Escalar, Alpen, Climax, and Climber. Eric attended Penn State University, and he maintains an administrative and adjunct faculty position with the meteorology program at Millersville University. 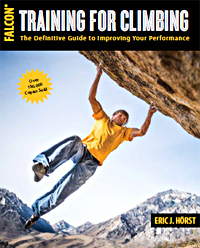 A self-professed workaholic, Eric regularly puts in 70-hour work weeks, between his university position and T4C and coaching duties, yet he still finds time to train hard and climb whenever the weather and family schedule allows. 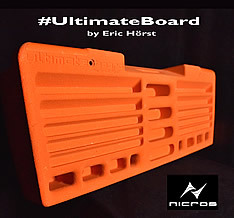 Sponsors: La Sportiva, Nicros, DMM/Excalibur, Maxim Ropes, Organic Climbing, Kühl, and Friction Labs. Raised in the small town Waverly, Pennsylvania, Lisa was born into a family of avid golfers. After beating this life-threatening illness as a child (a failed kidney was removed), Lisa decided to embrace any and all challenges before her. The first big challenge (and success) was winning a starting roster spot on the boys’ golf team in high school (which she co-captained in my senior year). 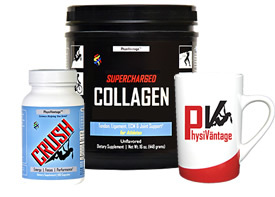 Lisa went on to dominate the boys’ golf league, winning many tournaments and championship—her successes led to a Division-1 sports scholarship to golf for Penn State University, from which she graduated with a degree in Kinesiology. Lisa was also inducted into the Pennsylvania Sports Hall of Fame. During those formative years, Lisa decided to never pass up a challenge or opportunity to try something new. So, while keeping my focus on golf, she also explored other sports like skiing, tennis, weight lifting, running and eventually rock climbing. After graduating from Penn State, Lisa joined the LPGA teaching division (and dabble in sports modeling for a few years) and she’s since ascended to “Class-A” LPGA Teaching Pro. A golf professional for more than 20 years, Lisa is now one of the most sought-after teaching pros in the region. Here instructional book, Golf Training: The Secrets to Effective Practice and a Lower Score, was published in 2004. The eldest Hörst brother is known for his focus, discipline, and power, both as a world-classic climber and successful American football Quarterback. 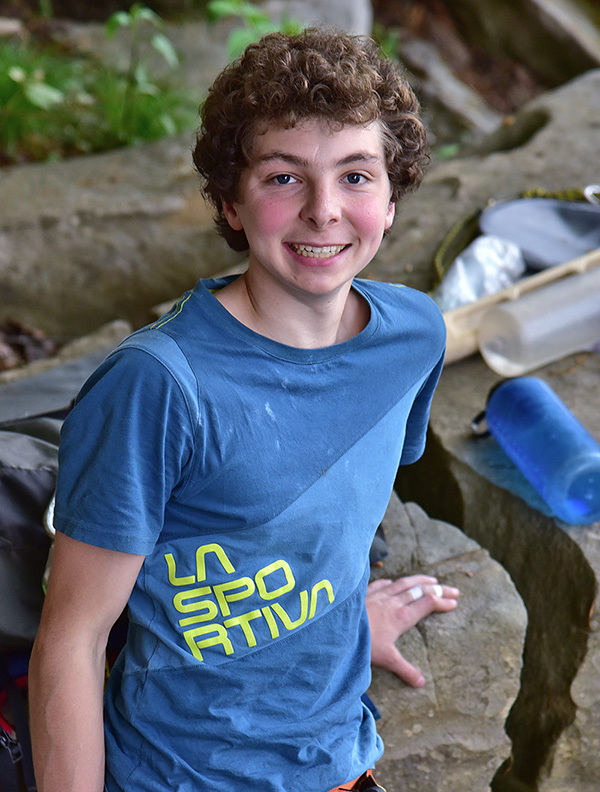 As a climber Cameron quickly ascend the grade scale with his first 5.13 redpoint at age 9 and three 5.14a redpoints at age 11. He has since climbed at least seventeen 8b+/14a and harder routes, including two at the grade of 8c/14b. 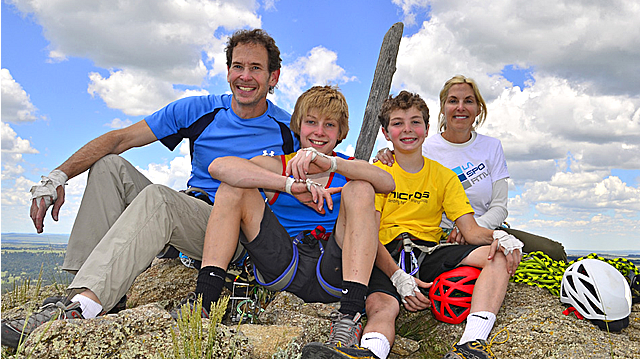 Cameron also enjoys traditional (gear) climbing, including his 2014 lead climb up Devil’s Tower in Wyoming. As a football player, Cameron is a eight-year starter at Quarterback and Safety, and he’s helped lead his team to three Red Rose League Championships (2011, 2013, 2014) and an undefeated 2015 freshman football season. In Fall 2016, as a sophomore, Cameron won a starting position (Safety) on the Varsity team and in the 2017 season he helped is team win their first-even District Championship! 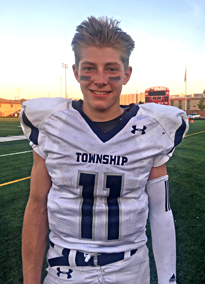 In summer 2018, Cameron climbed his first 8c+/5.14c (Germany’s “Pain Makes Me Stronger Everyday); then in Fall he played his final football season and he was named to the L-L League All-Star Team for his senior-year play as a Safety and Running Back. Cameron is currently in 12th grade. Cameron’s other “LIKES”: weight-lifting and sprint/power training, football, math & science, music & playing guitar, skiing, traveling, and watching “The Walking Dead” TV show. Jonathan is the youngest of the “Send Bros”, as Cameron and Jonathan have become known. Like his older brother, Jonathan did his first sport lead climbs just before his seventh birthday and at age 10 years and 7 months he succeeded on his first 5.14a redpoint, perhaps the youngest person to ever climb this grade! At the crags, Jonathan has a keen eye for new routes—over the past three seasons he’s established more than a half-dozen first ascents, including Threat Level Midnight (5.13c/d) and Valkyrie (5.14a) at Ten Sleep Canyon, WY. Jonathan also enjoys playing football (WR & CB), as it provides an off-season from climbing and allows him to play a team sport with his friends from school. Jonathan is in the 11th grade at Manheim Township Middle School, where he maintains an “A” average.